The world is ever changing with a variety of impacts on every industry, and the cruise industry in no exception. There are many worldwide trends that affect the way an industry can grow, how an industry does business, and what the ultimate customer wants. 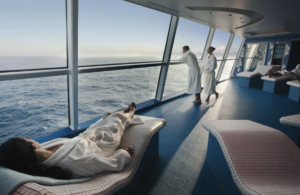 The trends in the cruise industry are a direct response to those trends. For example we all know about climate change, and this has made the cruise industry respond in a number of ways. We have seen the cruise lines move toward cleaner fuels, working with the ports to minimize the environmental footprints, and even onboard with the switch to paper straws. These trends don’t only change the way the industry operates, they also affect the way travelers see the world. Conscious travel has become a big trend and can be seen in a number of ways such as voluntourism, which allows the traveler to get involved in a local community in a volunteer or charitable way. There are also charitable cruises for passengers to assist with or get involved with certain charities while on vacation. Climate change, conscious travel, and reaching the untouched destinations are all tied together. Everyone wants to see the world without hurting it, and now there is an increase in desire to see the areas that may only be accessible by cruise ship, some might even say ‘before they are gone’. 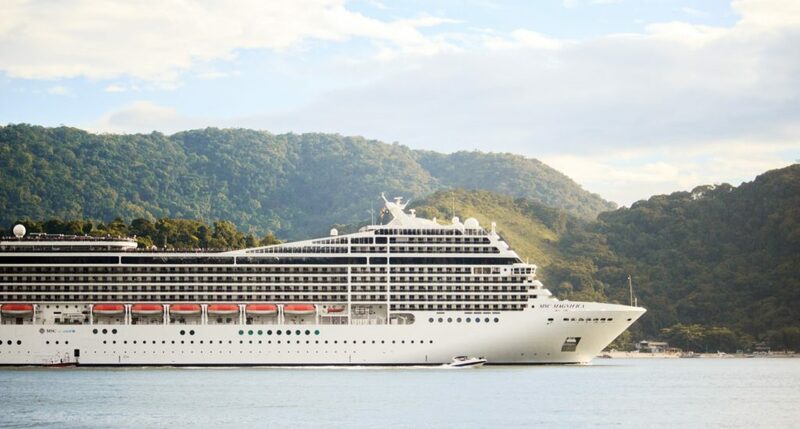 As a result, expedition cruising is experiencing exponential growth. These hard to reach destinations are also a big part of the ‘bucket list’ trend. Everyone wants to live a fulfilled life marked by extraordinary experiences. As the 2019 CLIA reports describes it “Experiential travel has evolved into achievement travel as vacationers are looking for experiences beyond sightseeing.” This is making the cruise lines work to create those opportunities, whether it is a shore excursion to Machu Picchu or an expedition cruise to Antarctica. The other trend related to ‘living your best life’ is health and wellness. People are taking a more holistic approach to living and many are trying to ensure self-care and even pampering. With doctors talking about stress levels, many are seeking ways to relax and rejuvenate. This trend is addressed by the cruise lines enhancing spa experiences with inclusions like diets, cleanses, and oxygen bars to name a few. The biggest trend driving all businesses today is social media. People want ‘instagrammable’ moments! USA Today even has lists like “Best Instagram-worthy spring flower spots, from California to Japan”. Everyone wants that ‘perfect shot’. With the need for social media and for it to be instant also brings connectivity challenges for the cruise lines. In the past, the idea of cruising meant you were literally ‘disconnected’ but those days are gone. The cruise industry is working furiously to have connections even in the most remote places. Keeping up with all the smart technology also requires bandwidth, another challenge for the cruise industry. Technology is part of our daily lives and passengers don’t want to do without it while cruising. The 2019 passenger capacity snapshot from CLIA has 30 million passengers expected to cruise this year. These passengers drive these trends, and every cruise line is working to make it happen! Access Cruise is a Miami based cruise marketing and sales consulting group, specializing in product and business development within the cruise industry. 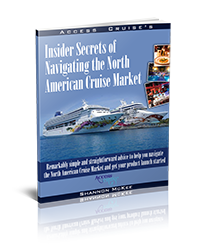 Request our free report "Insider's Secrets to Navigating the North American Cruise Market." Find out how you can start selling your product or service to the Cruise Lines right now!